It’s time to meet some late summer buns looking for love in Albuquerque! Nail trims are offered, and donations are always gladly received. 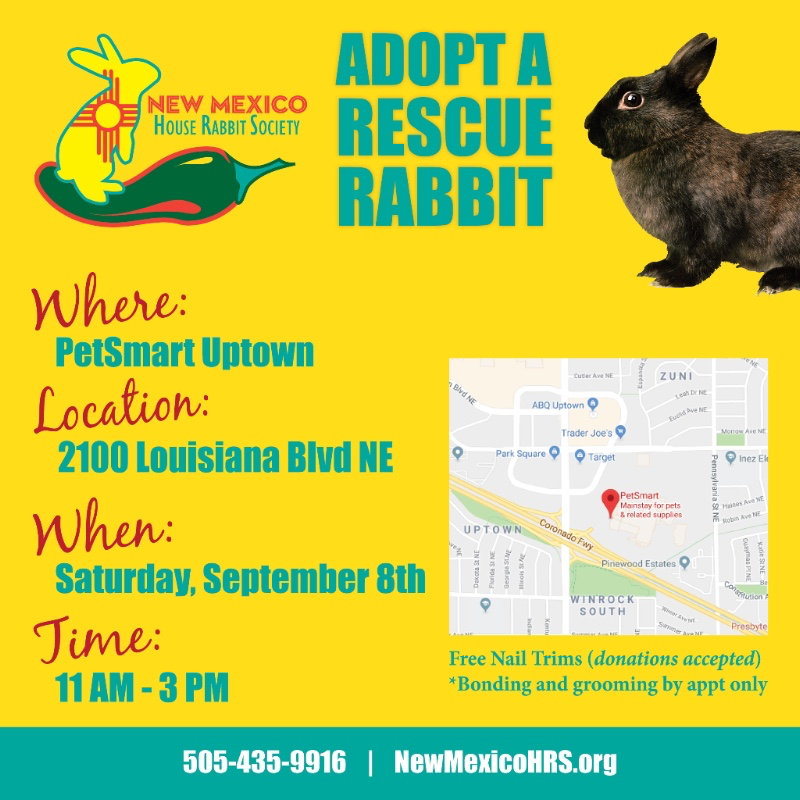 The event is on Saturday, September 8th at Petsmart Uptown, 2100 Louisiana Blvd NE Suite 322, Albuquerque, NM 87110.
abq, adoption, events, nail trims. Bookmark.